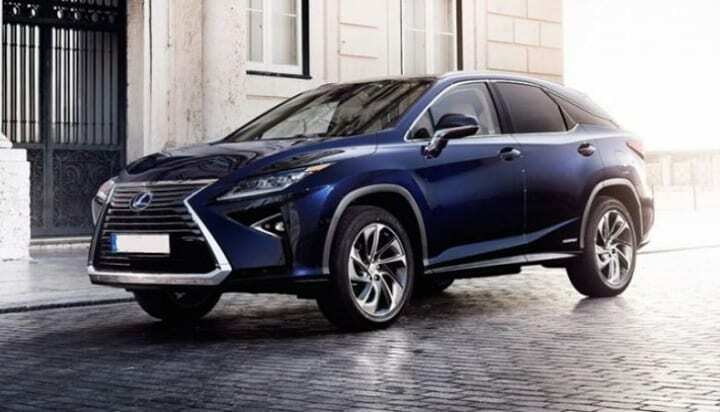 The 2019 RX 450h F SPORT gives drivers an edge, thanks to its bold styling, leather interior trim and an Adaptive Variable Suspension that will take performance even further. Some of the standout extra amenities, includes sport seats with enhanced bolsters, a lower front spoiler and 20-inch alloy wheels3 with Dark Graphite finish. The new F SPORT has a certain bold and moxie perspective about it, the moment you hit ‘start.’ This is more than obvious throughout the driver-centric interior. In addition to exclusive race-inspired instrumentation and bold aluminum accents, you’ll find performance upgrades, including bolstered sport seats, a black headliner, a perforated leather–trimmed sport steering wheel and shift knob, plus aluminum pedals and more. Saturated with more aggressive styling inside and out, the RX F SPORT’s exclusive features deliver even more control and exhilarating intensity. The Adaptive Variable Suspension lets you customize the shock absorber settings for improved ride comfort or reduced body lean as you enter and exit turns. The powerful V6 emits a throaty engine note when accelerating. And, putting thrilling performance right at your fingertips, paddle shifters offer lightning-fast upshifts and heart-racing split-second downshifts. The exclusive performance drive modes help provide the highest level of responsiveness. Sport S and S+ modes enhance steering and suspension, while Custom mode allows you to personalize everything from road feel to responsiveness. Further enhancing the excitement, an exclusive LFA-inspired gauge cluster provides real-time information such as G-force metrics, power distribution and more. When it’s really time to go, the F Sport can take you there.